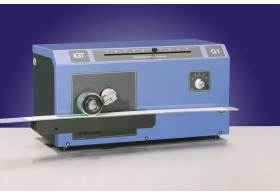 For gravure inks IGT Testing Systems markets the G1-5 printability testers for various printing widths. The latest addition to this range is the G1-7, able to print up to 70 mm wide. These testers print colour strips with gravure inks which can be used for many purposes. Specially designed for computerized colour measuring and colour matching systems. Saves costs because colour tests on the printing presses are no longer necessary. Excellent reproducibility, high degree of simulation of actual practice. 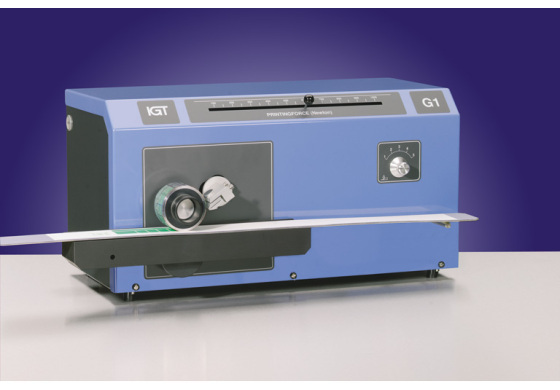 The G1-5 range of testers print many sorts of coated and uncoated materials: paper, board, plastic film, cellophane, laminate, etc. There is a full range of printing forms available in different designs: single engraving over the full surface, four different volumes in one print or a combination of different volumes in rectangular blocks and a 5 to 100% wedge.